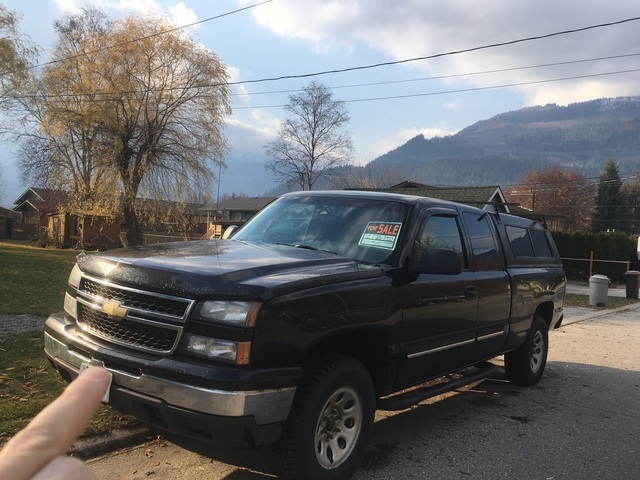 Awesome Silverado 1500 for sale. Truck is in great shape inside and out. Comes with winter tires on rims (2nd season), summer tires not on rims, and box liner. Working 4x4 for the upcoming winter and a canopy to keep the snow out. 215000kms. Regular maintenance and oil changes done. Front brakes recently done and new windshield installed this month.